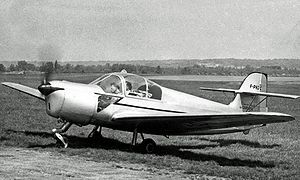 Initially registered F-WCZU in the experimental series, and re-registered F-PHQY in the amateur-operated series, the MS.602 was owned by Messieurs Gambi and Chanson and based at Saint-Cyr-l'Ecole airfield to the west of Paris. By 1983, the aircraft had been withdrawn from service and scrapped. MS.600 The initial prototype powered by a 75 hp (56 kW) Mathis G-4F piston engine. One built. MS.602 The derivative intended for production. The MS.602 was powered by a 75 hp (56 kW) Minie 4DA piston engine, but otherwiswe similar to the MS.600. One built. MS.603 The final derivative with tricycle undercarriage was powered by a 100 hp (75 kW) Hirth HM 504A-2 engine and had a revised tail unit. One built. Butler, P.H. (1964). French Civil Aircraft Register. Merseyside Society of Aviation Enthusiasts. ISBN none. 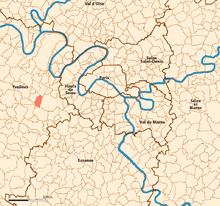 Morane-Saulnier MS.603 Pictures and Morane-Saulnier MS.603 for Sale.